KUALA LUMPUR, July 4 (Bernama) -- In this era of advent communication and information technology, Internet business will be the pinnacle for most promising enterprises. Following success of the ‘online revolution’ started together by major e-commerce players in Malaysia Lazada, Zalora, Foodpanda and recently Alibaba, local IT, web design and marketing companies, Operion E-Commerce & Software Sdn Bhd, Veecotech Enterprise and OneStudio Graphics respectively have come together to provide the much needed online business solution and support in IT, web design and marketing to local SMEs in the country. With twenty two years of combined experience in IT, design and web marketing these companies have realized and deeply understand the challenges in capacity and intricacies such as scalability and legacy issues affecting the SME’s performance in online and digital market. According to Lukas Tan, the owner of Operion E-Commerce & Software, “Online business is not confined to IT, computer, Internet communication, online advertising and sales to merely support existing business but they are ultimately an integral part of almost every successful business globally”. Lukas Tan, has 12 years of experience in IT services, software automation and database system development. While Veecotech, leads by Alan works with a team of dedicated IT engineers providing web design and ecommerce website development services already more than six years and Li Shin specialises in digital branding and video animations in OneStudio Graphics over the last four years. Hence, these companies have identified the importance of combine effort and recently signed an official agreement to form a new joint-venture company under the name of Rainmakers. Moreover, Rainmakers has successfully helped a couple of business clients solve and enhance their IT and online marketing operations prior to signing of the agreement on 25 June 2017. 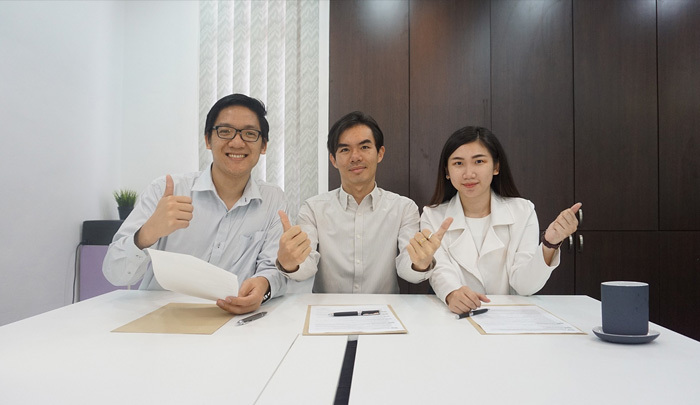 Rainmakers also has appropriately aim to devote their resources to develop and support other eight potential companies in Penang this year.